Jimmy Choo’s Larissa heeled booties stay true to the brand’s iconic luxury accessories heritage and craftsmanship, delicately fastening around the arch – empowering the wearer with a modern sense of glamour. 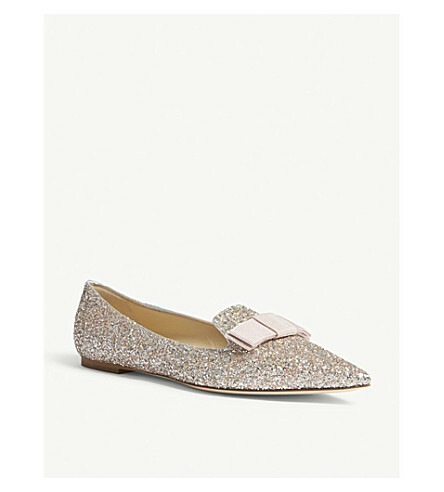 Immaculately crafted in Italy, their luxe velvet uppers are meticulously detailed with diamanté and pearl embellishments throughout – adding to their desirability. Seeing stars? 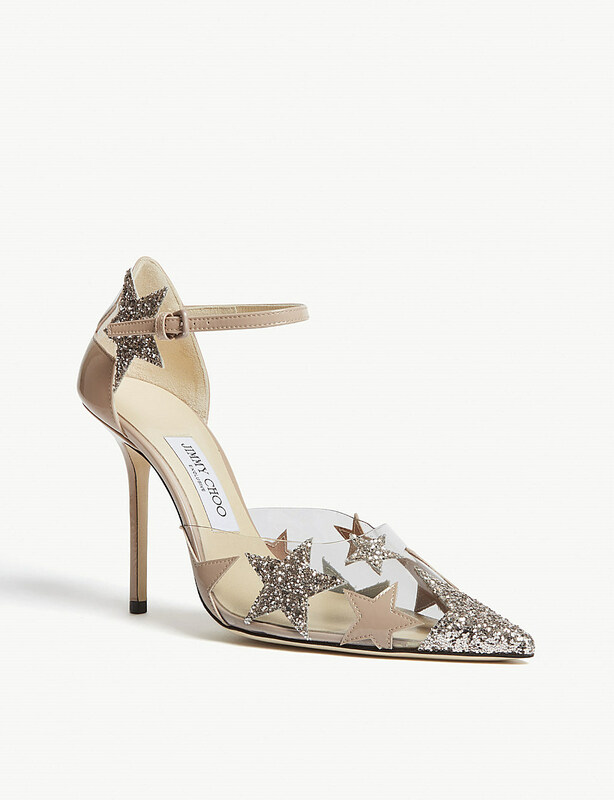 So are we – these Dazzle Jimmy Choo shoes are totally rock star-worthy. Here to help you mark your territory on the dancefloor, they’re a modern kind of rebellious with a transparent plexi upper scattered with glitter and crystals that condense at the pointed front and covered back. The low vamp and thin stiletto mean this pair is ready for the stage – are you? The return of the cold weather inevitably means an excuse to don as much glitter as humanly possible; and so it’s time to slip your feet into Jimmy Choo’s Maple 125 sandals. Set on a platform sole with a chunky heel, the sparkling silhouette secures neatly with a leather-trimmed buckle at the ankle. 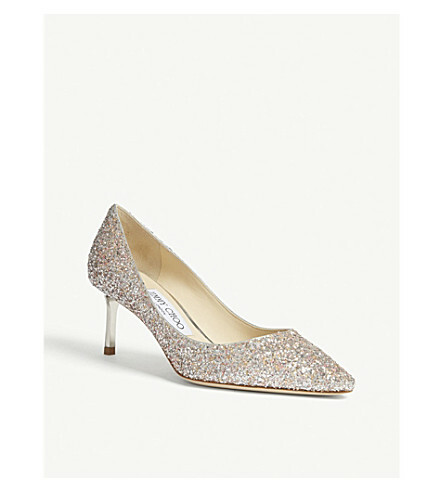 Slip them on over sheer tights and under shimmering party dresses – and take to the dance floor. Attended by everyone from Audrey Hepburn to Salvador Dali, The Surrealist Ball serves as inspiration for Jimmy Choo’s latest collection with plenty of opulence and sparkle. That’s not reserved to the realm of stilettos though, the London label dials up the drama of your downtime looks with these Diamond trainers. Rendered from metallic leather, they’re finished with glittering laces and a faceted midsole that evokes their eponymous stone. 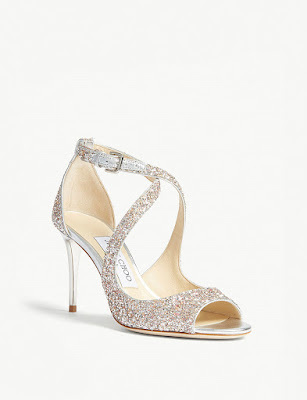 Jimmy Choo’s Emily 85 heeled sandals stay true to the brand’s iconic luxury accessories heritage and craftsmanship, delicately wrapping around the arch to create a sleek, curved silhouette. Immaculately crafted in Italy, the coarse glitter upper is supported with a smooth leather lining and sole for superior comfort. This sparkling, slender style is a dazzling way to round off your eveningwear – midi hems were made for them. 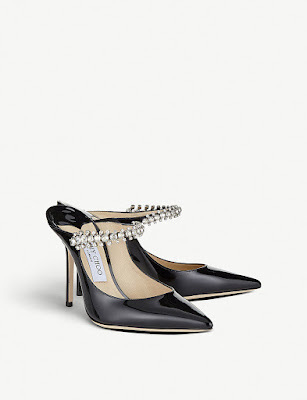 Hinting at the London label’s penchant for red carpet luxury, Jimmy Choo’s Romy 60 courts pay tribute to iconic entrance-making moments. Updated with a slightly softer toe and new stiletto heel, the pair’s coarse glitter degradé finish captures Sandra Choi’s bespoke creative direction and empowering sense of glamour through refined shoemaking skills. Proving a little bit of glitz doesn’t go amiss,Jimmy Choo’s Miami trainers put performance in the realm of fashion with an added nod towards current trends. 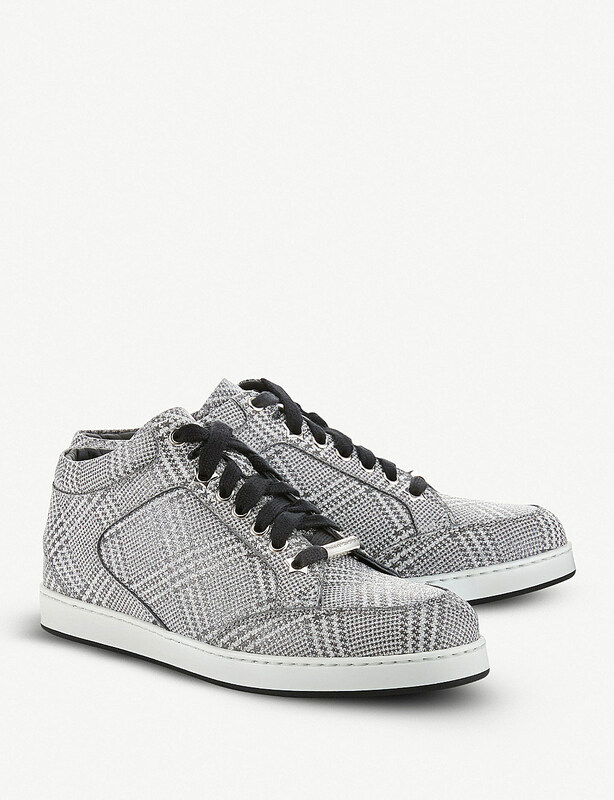 Crafted in leather, this lace-up style is set on a thick sole and covered in a starry, glittered version of this season’s popular Prince of Wales check. 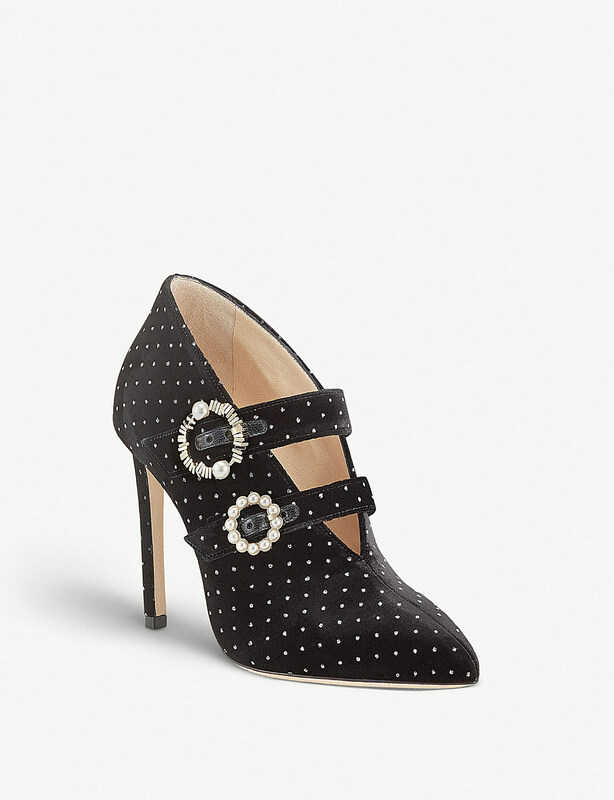 Denim-look top stitching and star eyelet hardware have us yearning for a Wild West-themed outfit to match with them. 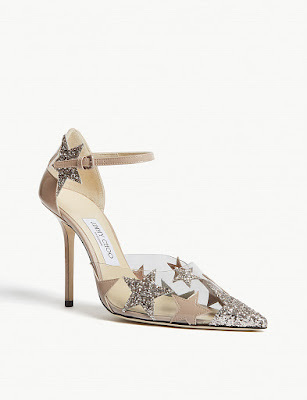 Jimmy Choo is faultless when it comes to meeting our demands for sumptuous footwear, and (happily) the Italian label’s expertise extend to sports-inspired styles as well as towering heels. 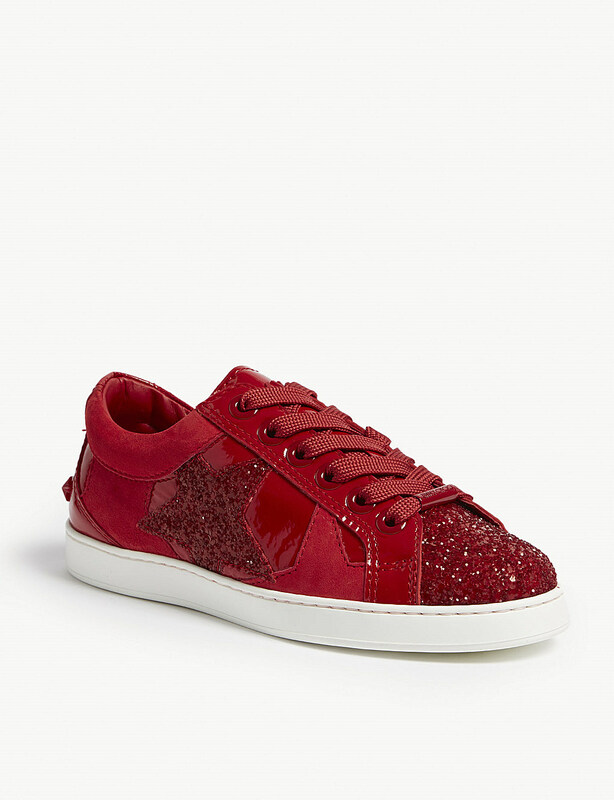 Encrusted with glitter and trimmed with patent leather, the Cash trainers are sprinkled with sparkling star-shaped appliqués at the sides. 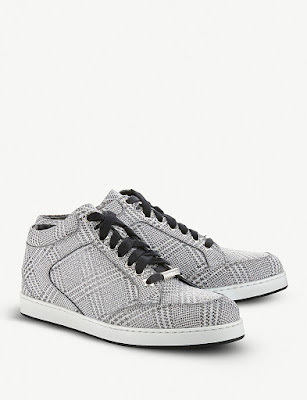 A cushioned sole has long city days in mind – so wear them as a fresh yet polished twist to streamlined tailoring. 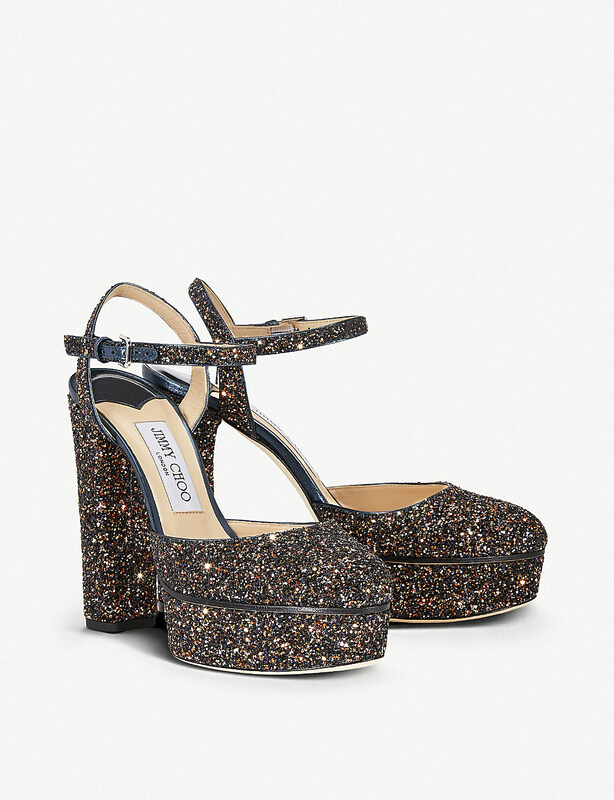 Jimmy Choo’s penchant for glamour doesn’t just end with towering heels. Dipped in glitter and topped with a neat grosgrain bow, the Gala pointed-toe flats prove you can be close to the ground and still be every bit as spectacular as you would in a pair of skyscrapers. 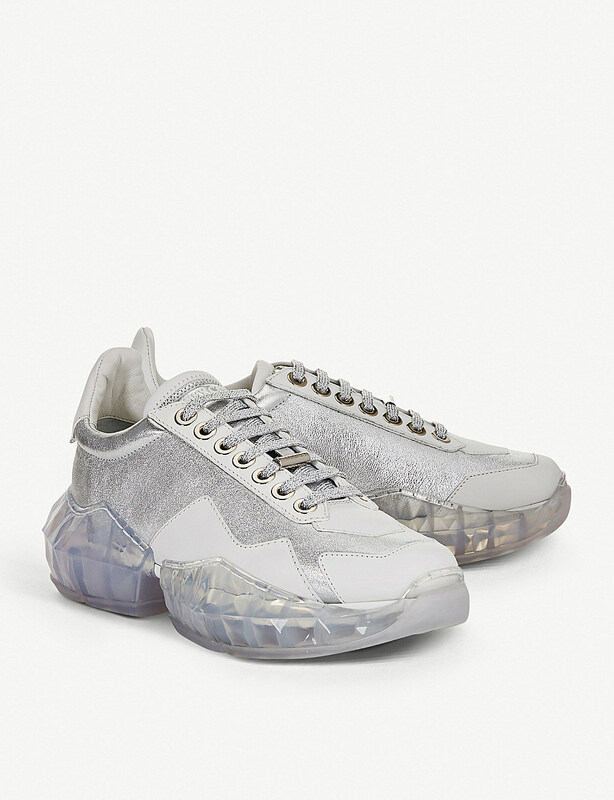 With its clean lines and sleek silhouette, this pair channels the London label’s signature couture-like quality to add a dressed-up element to low-key looks.